Cristiano Ronaldo scored his 31st goal in La Liga this season, netting with a simple tap-in in second-half stoppage time as Real Madrid won 5-1 at Getafe. In all, Ronaldo took eight shots, although he managed to get only two on target. Lionel Messi ended his scoreless drought at 514 minutes, scoring Barca's only goal in Sunday's 2-1 defeat vs. Valencia. It was also his 500th career goal but it wasn't enough to prevent his side's third straight defeat in La Liga and fourth defeat in five games across all competitions. Cristiano Ronaldo has scored in each of his last four games in La Liga. Ed Alvarez on Ronaldo: 7/10 -- Saw Getafe's goalkeeper Vicente Guaita make an excellent save in the first half, and had two penalty appeals that were waved off by the ref. Ended up making the scoresheet due to Jese Rodriguez's selflessness in the final minute of the match. Even though his hunger to play every single minute is well known, one wonders whether this would have been a good occasion to rest Ronaldo for the first time of the season. Lee Roden on Messi: 8/10 -- Much better from the No. 10, who ran into far fewer dead ends than in recent games, and was one of the home team's best players. Scored his 500th senior goal with an excellently timed run into the box and perfect finish, while he also helped create it in the first place with a quick ball into the area where Valencia had least cover. Almost created the equaliser with a near mirror-image move, but Alba couldn't cross accurately this time. Lionel Messi finally broke his scoreless run but it wasn't enough to earn Barca a point or better vs. Valencia. 17 - Lionel Messi has scored 17 goals against Diego Alves in La Liga, more than against any other goalkeeper. Nightmare. 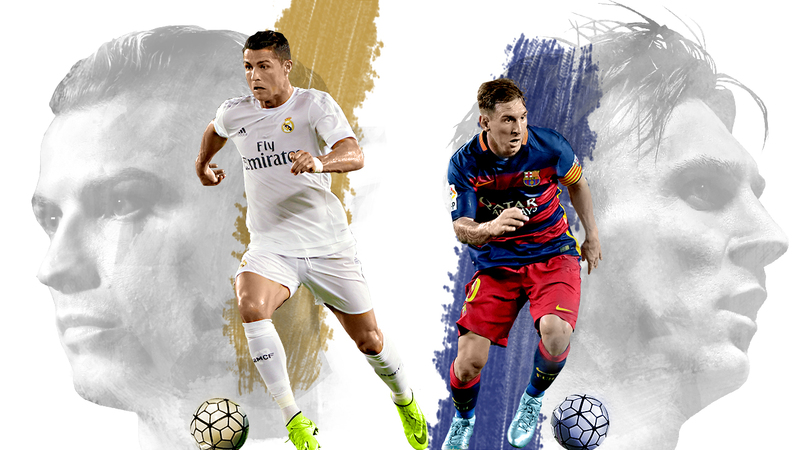 Both players return to action Wednesday when Messi and Barcelona visit Deportivo, before Ronaldo and Real Madrid host Villarreal.